BridgingApps has become part of the Center for Financial Services Innovation NonProfit-FinTech Exchange Interest Group with the goal of being more engaged and informed in helping individuals and families with disabilities become financially stable. 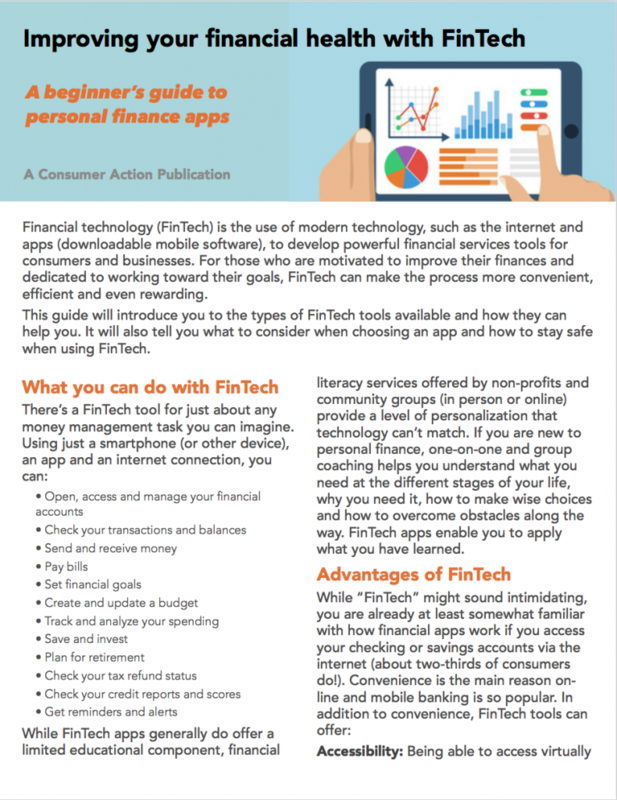 FinTech, or “financial technology,” refers to using tools such as the internet, apps and mobile devices to manage finances and improve financial health. 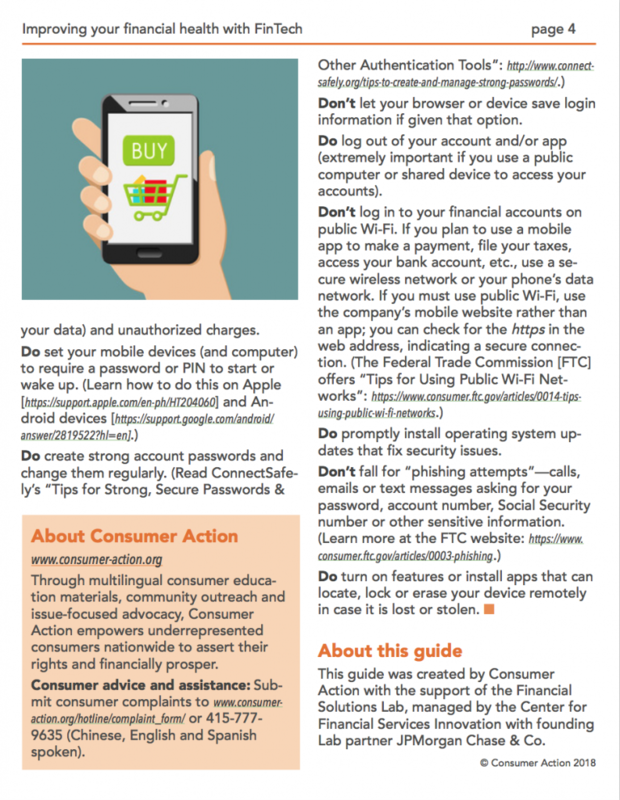 Here you will find expertly curated information from our friends at Consumer Action, who have developed an invaluable FinTech Fact Sheet. 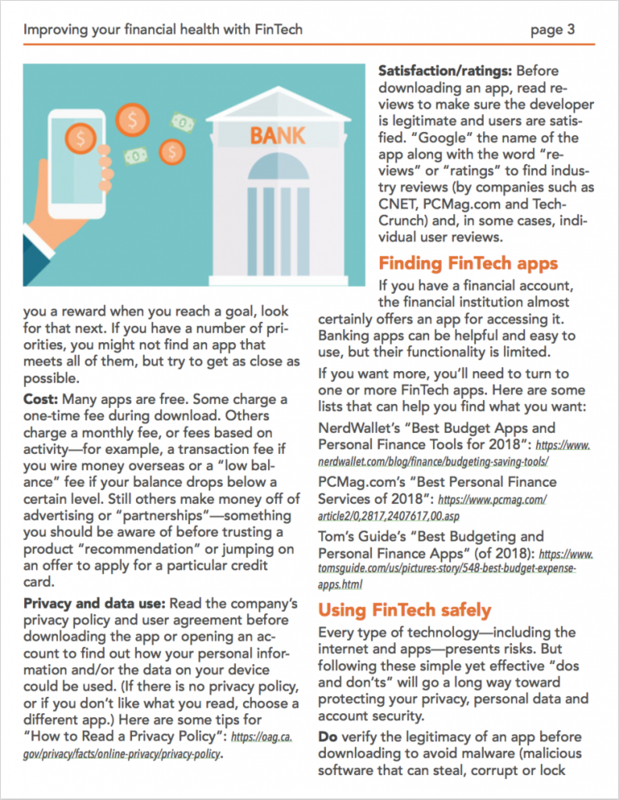 This easy to read guide defines terms, offers security and privacy tips, and outlines some advantages of using technology tools to enhance financial health. 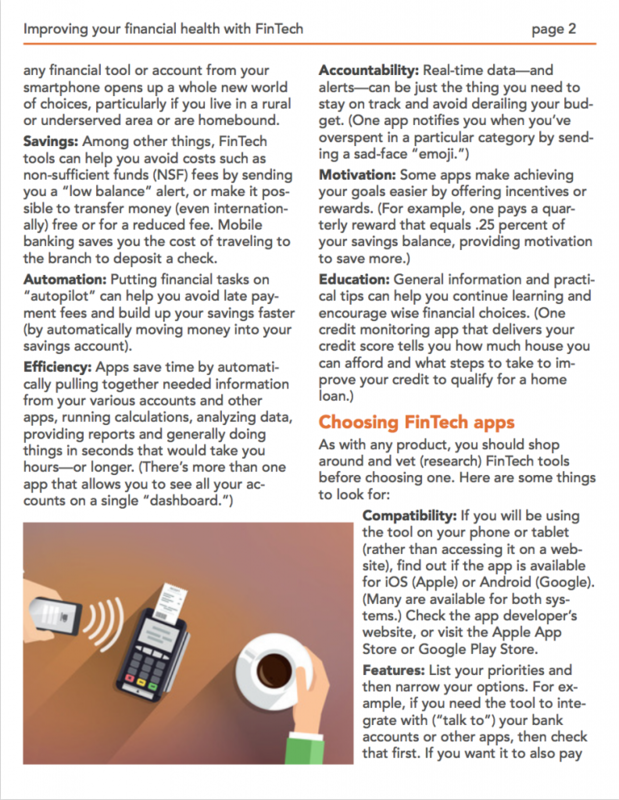 Voiceover users click here for the FinTech Fact Sheet. Source: Consumer Action, www.consumer-action.org. All rights reserved.